The truth behind the "Chick-fil-A diet"
From cookbooks to celebrities to your great aunt Bertha, there's no shortage of diet advice out there, whether you're seeking it or not. But the latest diet tips making headlines come from an unlikely source: a fast food chain. Chick-fil-A is offering "great ideas for healthy living" to customers looking to start their New Year off right. "Eat smaller meals (like an 8-count pack of grilled chicken nuggets) every three to four hours," the chain suggests on its takeout bag. 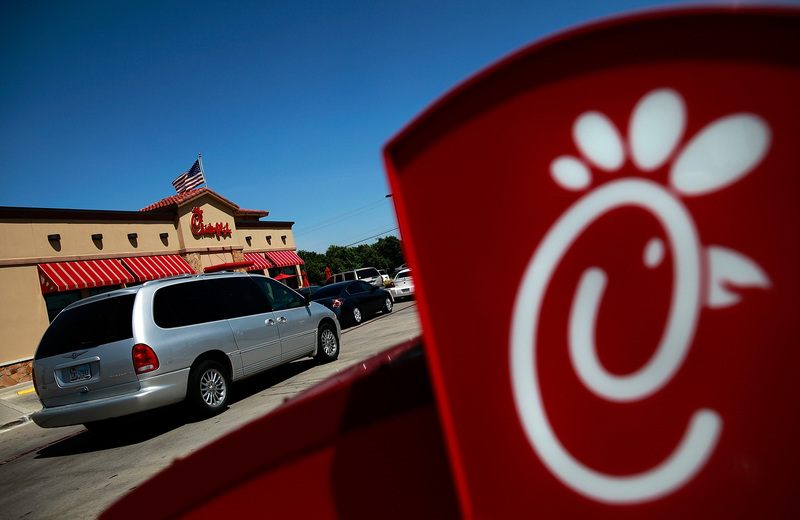 Sarcastically dubbed the "Chick-fil-A diet," the advice has gone viral since being tweeted by SBNation's Rodger Sherman. While eating chicken nuggets every day -- let alone every three to four hours -- may sound ridiculously unhealthy, the chain does suggest sticking with its grilled option, not the deep-fried, crispy nuggets synonymous with fast food. A closer look at Chick-fil-A's nutrition facts reveals that a serving of eight grilled nuggets contains just 140 calories and is a good source of protein at 23 grams, certainly making it one of the healthier options at a fast food restaurant (as long as you resist the temptation to add a side of fries). But with 530 mg of sodium per serving, eating them every few hours would bring you dangerously close to the recommended limit of 2,300 mg of daily sodium intake. Chick-fil-A's advice may seek to capitalize on the popularity of some nutritionists' advice to graze on several smaller, low-calorie meals throughout the day, as opposed to eating three big meals. The fast food chain also advises customers to exercise more, especially if they're going to "splurge during the day." Alissa Rumsey, a registered dietitian and spokesperson for the Academy of Nutrition and Dietetics, said that while snacking on grilled nuggets from a fast food chain is OK on occasion, "It is not something I'd recommend on a daily basis, and certainly not multiple times per day." "While it is high protein and lower calorie, it is a highly processed product that falls short on many nutrients including fiber, vitamins and minerals," she told CBS News. "Plus each serving of the nuggets provides about 20 percent of the sodium most people need in a day." Experts say the decision to eat several small meals a day versus the traditional three is an individual choice, as some people can eat larger quantities three times a day and not need to snack, while others need energy from food every few hours. In general, nutritionists recommend avoiding going more than four to six hours without a meal, to avoid feeling famished when you sit down to eat. But if you do snack, choose wisely. "Eating every few hours can be beneficial for one's body, though it should be healthy food choices and not just anything you grab," Kristi King, senior clinical dietitian at Texas Children's Hospital, told CBS News. Experts recommend choosing a combination of complex carbohydrates with protein and some fat over fast food. "This combination gives you some energy from the carbohydrate while the protein and fat help to sustain that energy and work to keep you full for longer," Rumsey said. Some options she suggests include a banana with a peanut butter, whole grain crackers with hard boiled eggs, Greek yogurt or cottage cheese with berries, an ounce of nuts with dried fruit, or a cup of raw veggies with hummus.